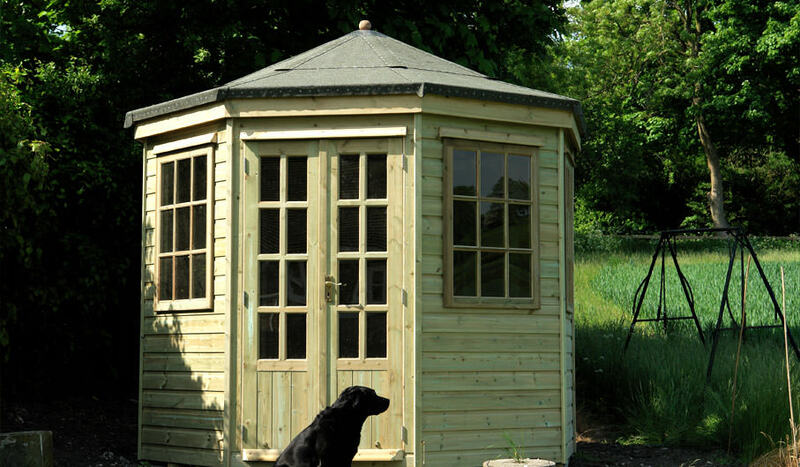 Wanting an Oak Framed Garage Kit to fit in with their traditional thatched cottage, Townsend Timber’s very capable customers approached the design team for a kit which was drawn up especially for them. 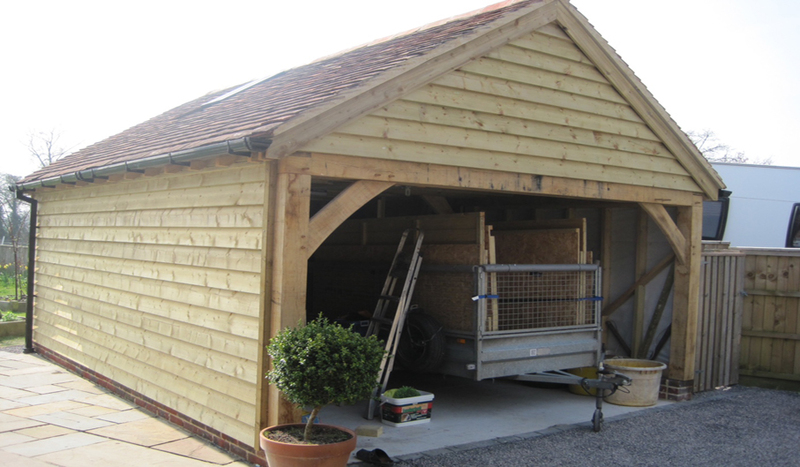 They wanted a wider 1-bay Oak Framed Garage as a Kit rather than opting for Townsend’s full turnkey service. 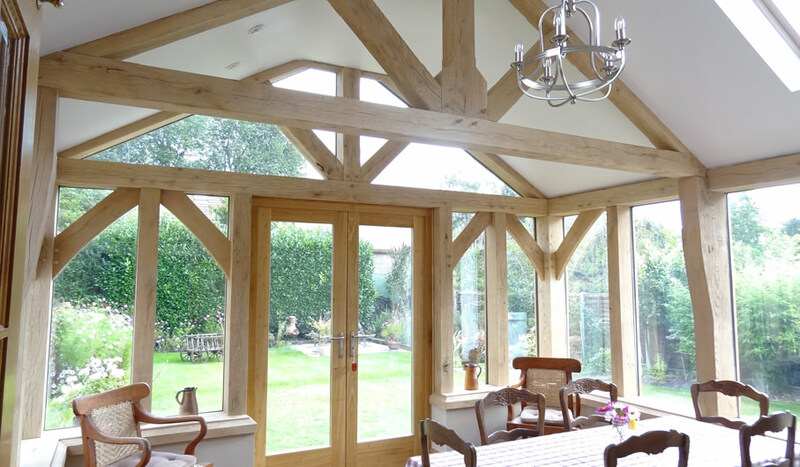 Townsend Timber provided the oak beams, posts and sole plates pre-fashioned to fit together along with pressure treated softwood stud wall timbers, weatherboard cladding and softwood elements of rafters, ridge and roof bracing ready for their own roof covering. 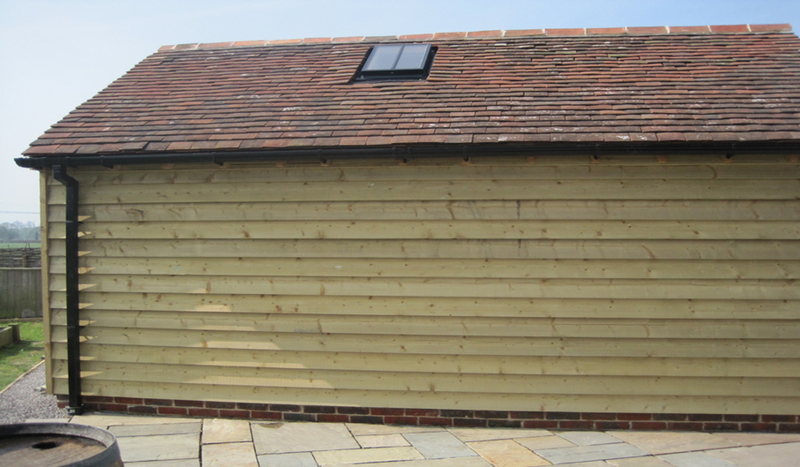 Plans for the floor and the brick plinth upon which the garage was being sited were given to the customer and work began. 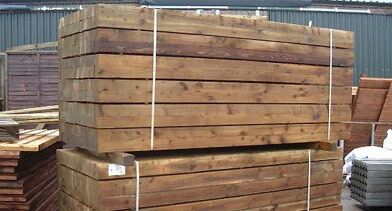 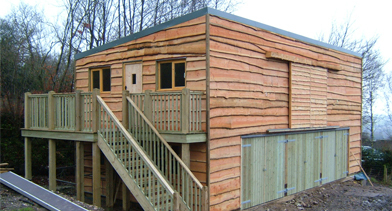 Close liaison between the customer and Townsend’s Operations Team to ensure that the Townsend Timber’s kit was duly delivered after the groundworks and the construction of the building itself progressed following the installation guide provided by Townsend. 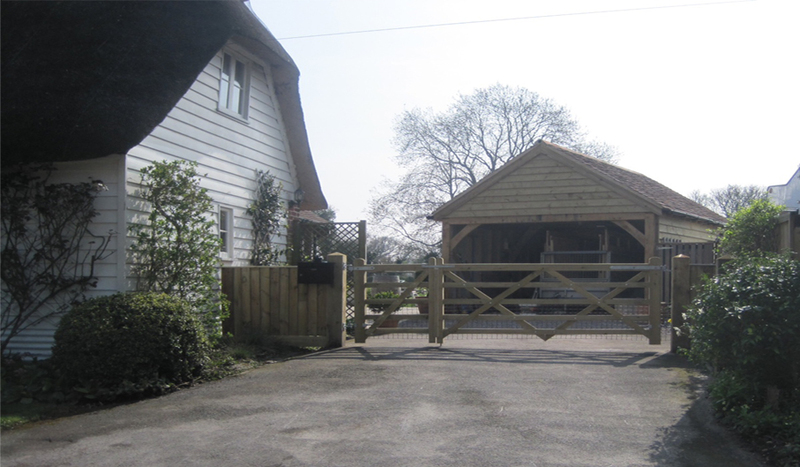 The customer forwarded images of the project once the drive entrance had been finished with complementary slabs laid to form a patio using the side of the garage as the “backdrop”. 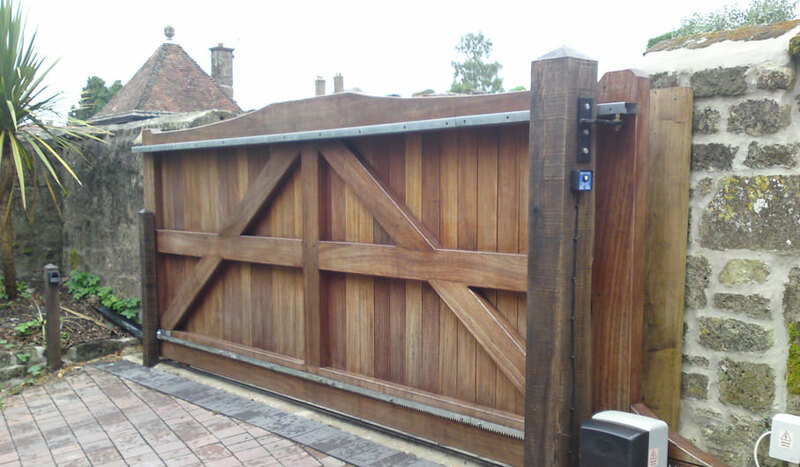 "Thank you once again for a great product, very simple to put up and looking great at the finish"